For students, cramming for a big test is often necessary, and this usually involves late nights. But late hours tend to equal sleepiness, and falling asleep during studying is often detrimental to grades. How, though, can you fight sleepiness and fatigue while you study? Here are some simple tips to help you out! The first is very easy to do, but most people do not know about it: Simply drink more water! Drinking water throughout the day is actually a pick-me-up. It regulates the body’s temperature and it revs up the metabolism. Make sure to keep hydrated, because dehydration can make you tired. At night, as you study, keep water on hand and drink regularly. In fact, drinking water is better than drinking caffeinated drinks when you study. Sure, the caffeine will wake you up and give you a buzz right away, but that buzz will wear off quickly, and actually make you more tired then you were before. Caffeinated drinks dehydrate the body, too, and again, you are right back where you started, tired and sluggish. If you know you will be studying late into the night, have extra caffeine in the morning (no more than three cups before lunch). This will perk you up and keep your body running smoothly, giving you the extra edge you need to focus later in the day, and night. Next, make sure that you have breakfast! While you may not think that eating breakfast will have any effect on the way you feel come nighttime, it actually does. Getting those extra, essential, nutrients into the body first thing helps your body function correctly all day long. Then, when you ask it to go the extra mile at night, your body is ready to help you out. It has been fueled properly and will be able to think clearer, longer. Also, make sure that you are getting enough exercise. This is excellent fuel for the body. It helps regulate the metabolism and exercise even helps the brain, so you think better! Getting exercise at least five days a week is key, and on days you know you need to study, make sure to squeeze exercise in. Better yet, as you study late into the night, and feel that tiredness coming on, get up and do a few jumping jacks, run in place, or even do some crunches. Any little bit of exercise will work–it will perk your brain, and your body, right up. While it may sound odd to prescribe sleep for sleepiness, getting enough sleep the nights before your study session can really help. While the body does not necessarily ‘bank’ sleep, having gotten the right amount on prior nights can really go a long way towards fighting fatigue on your late nights. Whatever night you know you will be hitting the books hard, make sure to go to be on time, or even early, the nights prior. Listening to music can also have a positive effect on your mood, and can wake you up. It does not have to be loud rock music, either. Simple put on tunes that you enjoy, and watch those brain waves perk right up! And, as an added bonus, if you are studying for a test, and the professor or teacher allows you to wear headphones as you take the test, listen to the same music. Studies have shown that if you listen to certain music as you study, and then listen to those same songs again as you take the test, you will remember better, and perform better on the test. As you study, whenever you begin to feel tired, or even stressed, take a minute to practice some yoga, or some simply yoga breathing. Concentrating on your breath can help you bring more oxygen to the brain, which will wake the body up. It can also help you clear your mind and study better. If you are studying at home, by yourself, take a moment to hop in the shower! 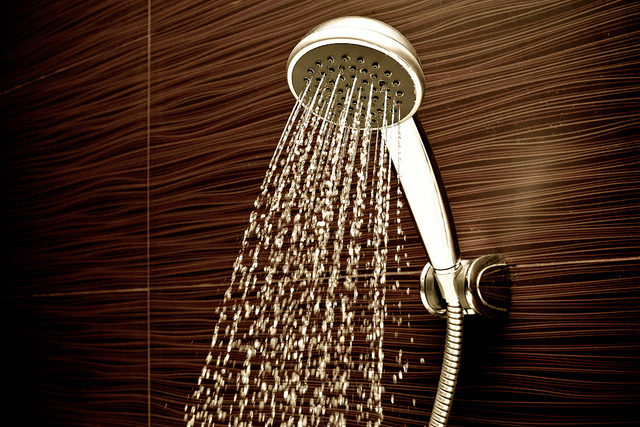 Nothing invigorates us like a nice shower, and if you can take it, try using cool water! That will really be an eye opener. You will find, once you are back at the books, that your mind is open again and you are wide awake. Junk foods with sugar or simple carbohydrates, like breads, can actually make you sleepier. So, watch what you eat as study or you could be nodding off in no time. There are so many things that you can do to perk up that brain, and body, as you study. No need to feel tired or sluggish. Simply study with the right tools and methods, and ace that test!